Contact Us at 407-374-2924 to learn more about claiming and optimizing your Google+ Local listing! 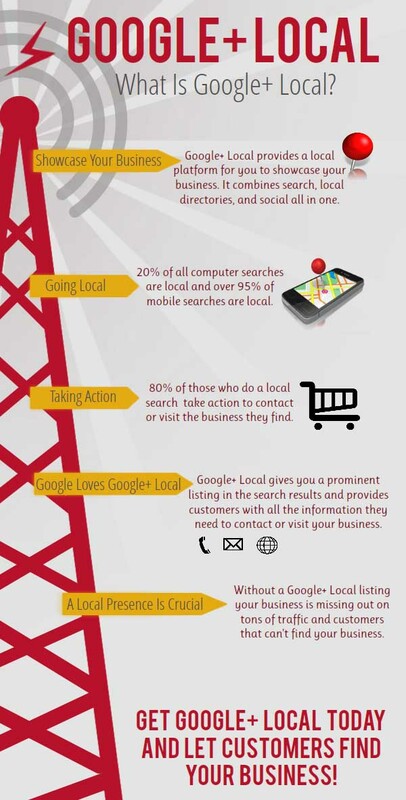 We hope you found this Google+ Local™ infographic helpful! Whether you tackle this project yourself or use our assistance, we encourage you to claim your business listing, optimize with local seo, and encourage reviews by satisfied customers! *Google and the Google logo are registered trademarks of Google Inc. and are not associated with this website.